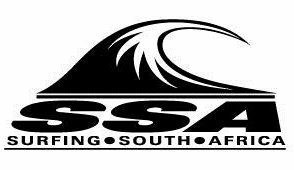 These surfers will compete in a selection trial which will be used to determine the surfers who will represent South Africa at the 2019 ISA World Junior Championships. The Trial is scheduled to take place in Port Elizabeth on March 30th & 31st. 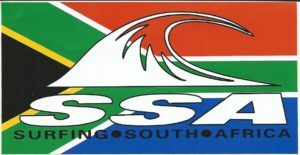 This year Surfing South Africa has decided to give the surfers in the U16 Boys & Girls and U18 Girls SA Junior Squad the opportunity to compete in a “friendly” contest against a group of French surfers who are holding a training camp in Durban. The contest between the visiting French juniors, members of the SA Junior Squad and a selection of KZN surfers will take place at Dairy Beach in Durban this Saturday and Sunday (February 2nd & 3rd). As there are no U18 Boys in the French group the SA U18 Boys Squad are not be competing in Durban. A group of KZN surfers drawn from UGU Surfriders and eThekweni, who are not members of the SA Junior Squad, will also get the chance to compete in the event this weekend. Surfing South Africa sees this visit by the French surfers as an opportunity for the SA Junior Squad to compete against top level surfers and appreciates this alliance with the French Surfing Federation. Surfing South Africa Board members Anne Wright and Bongani Xulu will be the Contest Director and Head Judge respectively and the event officials who will judge the contest all bring a mixture of National and International experience. The Contest will include a Tag Team Final between two French and two South African teams each made up of three boys and two girls, as well as Plate Finals for the losing semi- finalists in each division and Main Finals for the surfers who come first and second in the semi- finals. The contest gets under way at 8am on Saturday and Sunday and ends with the Finals at approximately from 11am to 1pm on Sunday.